On Friday afternoon, December 17th,The Public Health Agency awarded Eliapharma Services, Inc., the Permit to import Human pathogen(s) into Canada. Shortly thereafter, I began to notify the 43 people already on the waitlist for the TMAU Urine Test through MEBO Research and Eliapharma, to inform them that they could fill out the application form. 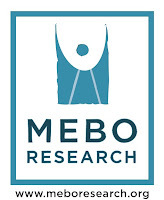 This English and Spanish versions of this application was designed by MEBO Research's Technical Consultant, who volunteered to donate countless hours of intense work day in and day out on this holiday season, and I'm certain you will agree with me that he has done a very professional and impressive job indeed! Well, now Eliapharma is offering yet another option of testing with only one sample for $80 instead of two samples for $110, representing a savings of $30. We have received an overwhelmingly enthusiastic response, and I'm doing all I can to keep up with the demand, and it's been challenging to get to everyone on a timely basis. I have been informed by FedEx that most major shippers will be having their annual rate increase in January 2011, and that their rates are subject to change until purchased. I also notice that their fuel surcharge have also increased as the gas prices have been increasing at our local gas station. For this reason, Eliapharma has offered us yet another option to encourage all sufferers of unusual and uncontrollable body odor to test. As originally posted in this blog, this lab has offered two samples per kit for $110 plus fees and shipping costs, with the option of including up to 4 more samples per kit at $60 each. Well, now Eliapharma is offering yet another option of testing with only one sample for $80 instead of two samples for $110, representing a savings of $30. Hopefully, this will be particularly helpful for persons who live in countries further away from the lab in Canada resulting in higher shipping charge, and with not very favorable currency exchange rates. Nonetheless, anyone interested in participating in this program before the rates go up can fill out the application, and be placed on a waitlist with no obligation. I will try to clear the waitlist on a first come, first served basis as quickly as possible, as I keep in mind that the shipping rates will increase soon. At the same time, it is a holiday season, and we look forward to enjoy this season with our loved ones. For those wishing to hold a conference call on any specific day of the holidays, please let me know, and I'll contact the ladies that customarily organize them. Wishing everyone a Merry Christmas, Happy New Year, and whatever else anyone celebrates in during Holiday Season.